Before you decide to buy a Himalayan, we strongly suggest to consider several factors. For one, we strongly recommend an indoor home, or at the very least; keep them indoors when leaving them unsupervised. Himalayans also require weekly maintenance, which includes brushing their hair and cleaning their eyes in addition to regular habitation requirements. Realize the financial responsibility of owning such a pet. Understand that constant attention is required and so is patience. A long-haired feline such as a Himalayan can cause many inconveniences, such as shedding everywhere and anywhere, coughing up hairballs without pattern, and destruction of various household items. Also consider the fact when your Himalayan passes kitten-hood and enters its adult life, will you still emotionally care for the cat? We also ask that you not de-claw our kittens/cats. It is an inhumane mutilation that can affect the cat in a negative way for life. Kitties are climbers and love to run and play. They may also stop using the litter box because of nerve damage to their feet. Full name and full address (including city, state and zip). Are you looking for a pet or breeder? What kitten on our website are you interested in? If so, what are the ages of your children in your home? Do you have any other pets in your home? If so, how many pets do you have and what breeds? We expect a deposit to hold your kitten. We only take deposits through Paypal and US POSTAL money order . If you send a postal money order we'll withhold confirmation until it has cleared. (Other money orders, i.e. bank money orders, checks, cashier checks are NOT Acceptable!) If you choose to pay through Paypal then you must add the 3% that Paypal charges to the amount that you are sending through them. If you wish to make the rest of the payment through Paypal, that is also acceptable (Same 3% fee applies). Otherwise, the rest of the payment shall be paid in cash at the time of pickup. Paypal payment should be sent to pav56@aol.com. to you, please don't inquire. 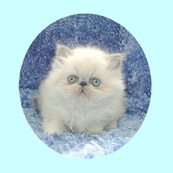 Your kitten remains available until the money is received but will be marked "reserved" as soon as the deposit is received and cleared and "sold" when paid in full. Kittens stay here until they are 12 weeks old. To protect their health, we do not let them go out before they are vaccinated. We know you all want healthy babies and we do our best to make that happen. Thank you very much in your understanding of this. CFA registration: if a kitten is sold as a Pet, registration papers will be delivered after valid notification of altering. If sold as a Breeder, registration papers will be delivered at time of purchase.